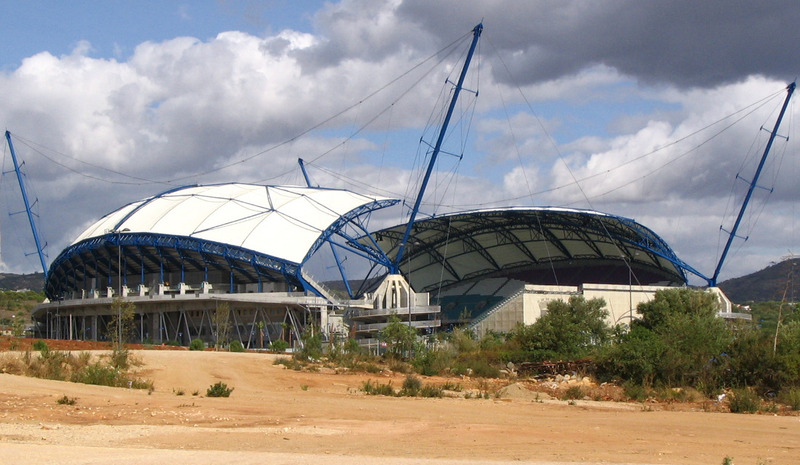 Estádio Algarve was built to serve as one of the playing venues of the Euro 2004 tournament. It officially opened on 23 November 2003 with a friendly between local clubs SC Farense and Louletano DC. During Euro 2004, the stadium hosted two group matches and the quarter-final between Holland and Sweden (0-0). The stadium was previously home to both Farense and Louletano, which are currently playing in the lower leagues. As a result both have chosen to play most of their home matches in smaller local stadiums, using Estadio Algarve only for important matches. Estadio Algarve does get regularly used for international football, including the Portuguese and Gibraltar national teams, the latter until they have found a home of their own within Gibraltar. 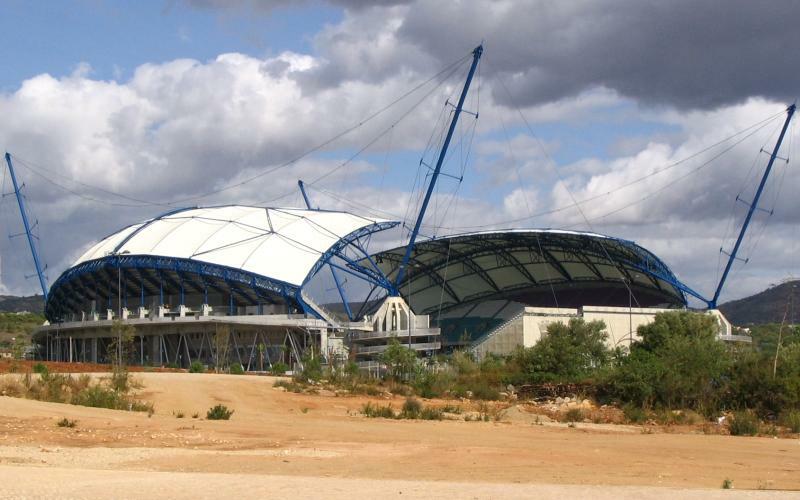 Estadio Algarve, designed by Populous, is best known for its remarkable architecture. Stand-out features are its 73-metre-high curved roofs over two of the stands, which are held up by a steel structure tied to four pillars. The stadium has a total of 320 VIP places. Estádio Algarve is located about 8 kilometres north of the city of Faro, about halfway between Faro and Loulé. The stadium has its own train station, Parque das Cidades, with service to Faro, Loulé and other regional destinations. About 10 trains a day run between Faro and Parque das Cidades. The journey takes about 6 minutes, the walk from the station to the stadium a further 15 minutes. The stadium lies next to the A22 motorway which runs across the Algarve and links up with the A2 to Lisbon further west. From the A22 take exit 13 toward Faro. Merge onto the IC-4, and leave the IC-4 again at the first exit (after less than a kilometre). Parquecidades-eim.pt – Official website of the Parque das Cidades and Estádio Algarve. Visitalgarve.pt – Tourist information about the Algarve region.